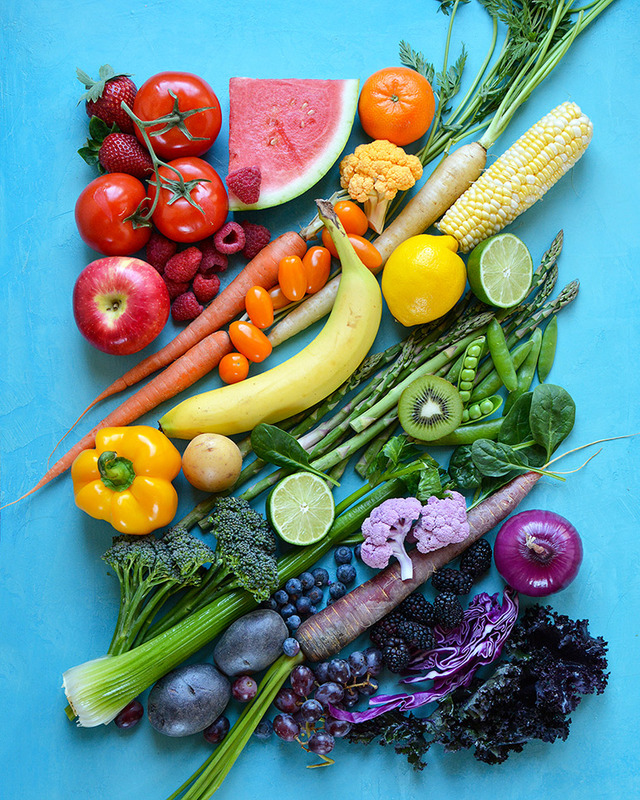 I have always loved eating the rainbow. It's quickly become a signature of my blog and photography style --- because I believe that we all should eat as much variety and color from nature as possible (kids and grown-ups alike!). 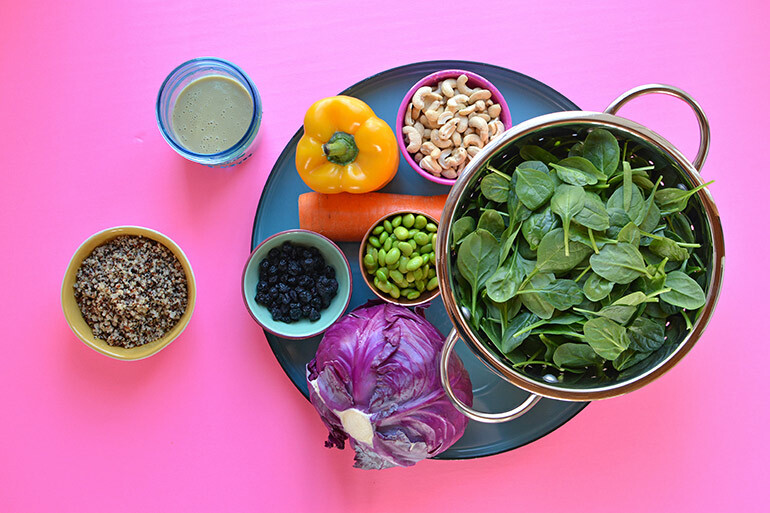 Not only are real, non-processed foods good for our bodies, they're gorgeous! So what's in this rainbow cashew salad? You guys, plant-based eating never tasted so good!! 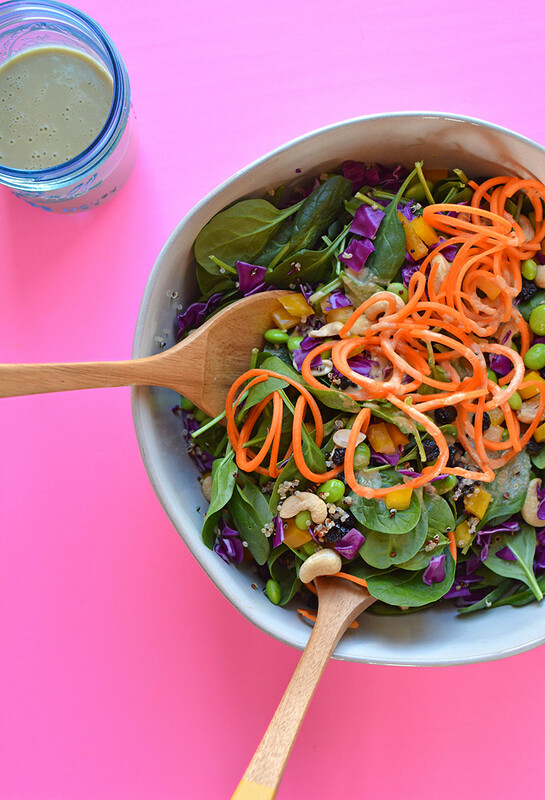 This salad is super satisfying because of all the plant-based protein in the quinoa, cashews, and edamame! The dried blueberries add a bit of sweetness while the carrots and cashews give it a nice crunch. You will LOVE it!! The base of the salad dressing is this new organic almondmilk from So Delicious Dairy Free!! 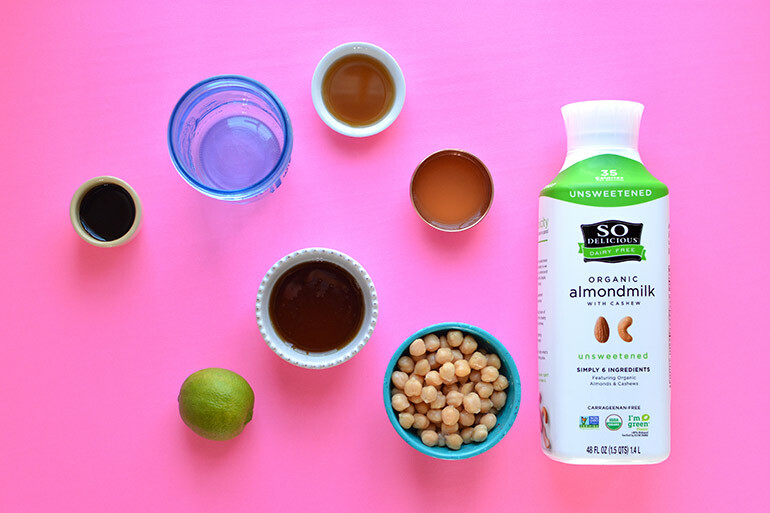 1) We LOVE that it's organic because most almondmilks are not! Organic means: Non-GMO, no antibiotics and no persistent pesticides. And the best news is: It's currently on sale at Target. (5/5 - 6/5)<---- winning! Make sure you have the Target app (or download it!) so you can save 10-15%! You know what else you can get at Target? Allllllllll.The.Things. It's literally my favorite store. Babycakes loves their dollar spot (aka. Bullseye's Playground) and finding lots of cute treasures. We love their clothing, and she's often dressed from head to toe in Cat and Jack. We love their home section --- decor + dishware (like the salad bowl, tongs, blue platter and bowls you see in these photos!). And we love that they have an extensive grocery section -- including all of So Delicious Dairy Free's new organic almondmilks (unsweetened, vanilla, and original). And you can buy my cookbook there. It really is SUPER!